Above all else, I want you to delight in every moment of your wedding. I want you to laugh, I want you to cry. I want you to take it all in. This is your day, not mine, and I want to you to savor it. My hope is that the photographs I create for you to remind you of the joy and love you felt at your wedding, surrounded by the people you care about most so that you can share it with generations to come. Real moments and meaningful memories.  Real moments are the ones that matter most, that’s why I focus on documenting authentic images that tell the story of your day as it naturally unfolds—photographs that you will turn to time and again, to remember exactly how it all felt. A once in a lifetime occasion. Your wedding is special, and capturing this one-time event is a privilege I do not take lightly! From the moment you inquire, until you have your album in hand, I want your experience to be exceptional. If you are not happy for any reason, just reach out and I will make things right. Happily ever after starts right here. Your wedding photos mark the beginning of your family legacy. They need to be protected so that they can be shared for generations. That’s why it’s so important to print your photos, using quality, archival materials that can stand the test of time. If you like what you see, please don’t hesitate to reach out.